Quill Driver Books, 9781884956287, 352pp. Have you ever dreamed of writing a best-selling children's book? Ever fantasize about what it's like to live the life of a published children's author? Although writing and illustrating books for children is not as easy as it looks, new authors and illustrators are being discovered--and published--all the time. Even if you're not planning a career in this field, learning how authors and illustrators work can lend new insights and appreciation to their art. The same ideas and inspirations that help authors and illustrators of children's books may encourage students, teachers, librarians and other creative artists in their literary efforts. 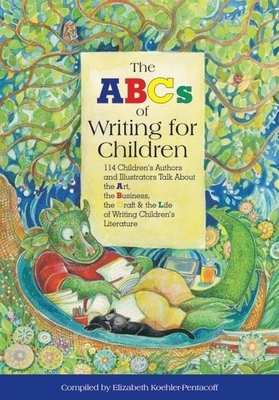 In ""The ABCs of Writing for Children, "" you'll learn many 'do's and don'ts' for creating children's books. You'll see that what works for one author may not work for the next. No matter what your aspirations are, whether you want to enrich your reading, teach others to read and write more deeply, or nurture your own creative process, learning what works for others may work for you. Including Chris Crutcher, Karen Cushman, Sid Fleischman, Richard Peck, R. L. Stine, Rosemary Wells, and Jane Yolen.